Defining a clear company mission. Designing a sound business portfolio. Most large companies consist of four organizational levels. They are: corporate level, divisional level, business unit level and product level. v There must be limited number of goals. v It must stress on the major policies and values that the companies want to honor. v It must define the major competitive scope. Mission statement should not too broad or too narrow. Mission should fit the market environment. Mission should be based on its distinctive capabilities. Mission statement should be motivating. Business portfolios are the collection of business and products that make up the company. Business portfolio planning involves two steps. The company must analyze its current business portfolio and decide which business should receive more, less or no in investment. It must shape the future portfolio by developing strategies for growth. The major activity in strategic planning is business portfolio analysis. Portfolio analysis is a tool by which management identifies and evaluates the various businesses making up the company. By analyzing the current business portfolio management put their strong resources into their more profitable business and phase down or drops its weaker business. Independent planning for each SBU. Each SBU must have own set of competitors. There must be an independent manager responsible for each SBU. In this case the next step is to assess the attractiveness of their each business unit. There are in this case the next step is to assess the attractiveness. The best-known portfolio-planning method was developed by the Boston Consulting Group, a leading management consulting firm. Stars: stars are high-growth, high share businesses or products. They need heavy investment to finance their rapid growth. The marketing strategy for this is to hold the market share to maintain the profit margin in the competitive market. Cash cow: cash cow is low-growth, high-share businesses or products. They produce a lot of cash that the company can use to pay the bills and to support the other business. The marketing strategy for this is to harvest the products or business. Question mark: They are low-share business until in high growth marketer need to identify the reason behind their low share and should try to build into stars. Dogs: dogs are low-share low-growth businesses and products. In this case the management must decide whether to maintain the business or terminate the business. i. They can be difficult, time consuming and costly to implement. ii. This approach focuses on classifying current business but provide little advice for future planning. On the basis of the current business portfolio the marketer decide which business needs more investment and which need require less. Beyond evaluating the current businesses the marketer must identify some strategy regarding growth. There are four types of growth strategies available for the marketer. 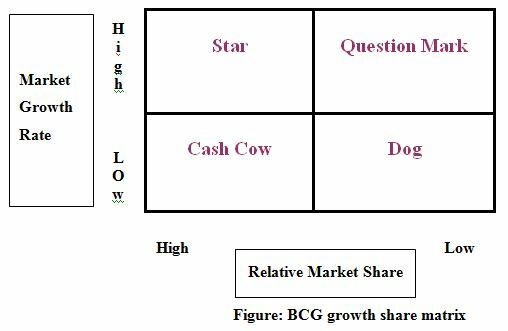 One useful device for identifying growth opportunities is the product / market expansion grid. 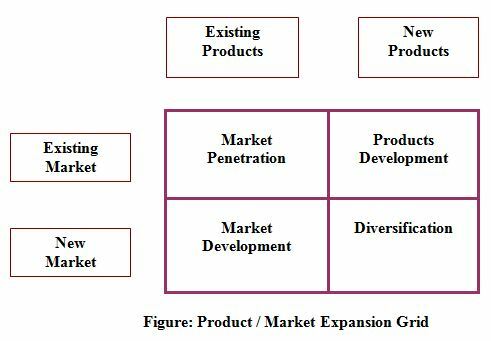 Product / market expansion grid is the tool for identifying growth opportunities through market penetration, market development, product development, & diversification. To induce the customer to buy more. Try to attract competitor customers. Identify potential user group in the current market. Identify additional channel of existing products. Try to launch the products in new location. Products development is the strategy for company growth by offering modified or new products to current market segments. For example the marketer of fast food store offering launch box along with their fast food assortment. The marketer can develop new product by changing their features, quality etc. The company could seek new products that have technological or marketing synergies with existing product lines, ever though the new products themselves may appeal to a different group of customers. The company might search for new products that could appeal to current customers even though the new products are technologically unrelated to its current line. The company might seek new business that has no relationship to its current technology, products or markets. Companies must not only develop strategies for growing their business but also strategies for downsizing. The company must also carefully prune, harvest, divest of their old business in order to real ease needed resources and reduce costs. Identify the major elements of business environment in which the organization has operated over the past few years. Describe the mission of the organization in terms of the nature and functions for the next two years. Explain the internal and internal forces that will impact the mission of the organization. Identify the basic driving forces that will direct the organizational features. Develop a set of long term objectives that will identify what the organization will become in the future. Outline is a general plan of action that defines the logistical financial and personal factors needed to integrate the long term objectives in to the total organization. Marketing plays a key role in the company’s strategic planning in several ways. First, marketing provides guiding philosophy. Second, marketing provides inputs to strategic planners by helping to identify attractive market opportunities and by assessing the firm’s potential to take advantage of them. Third, marketing design strategies for reaching the unit’s objectives. Dividing a market into distinct group of buyers who have distinct needs, characteristics, or behavior and who might require separate products or marketing mixes. Segmentation can be possible on the basis of geographic, demographic, psychographics and behavioral factors. Every market has a segment but not all ways of similar way to a given set of marketing efforts. The next step is to identify which market segments they want to enter. It is the process of evaluating market segments attractiveness and selecting one or more segments to enter. On the basis of the financial capabilities of the marketer they decide how many segments they enter. Most companies enter a new market by serving a single segment, and if this proves successful, they add segments. The next step is to occupy a position in the mind of the customers. For each total segment, establish and communicate the key distinctive benefit of the offering. Basically it means that arranging for a product to occupy a clear, distinctive and desirable place relative to competing products in the minds of target consumers. Marketers want to develop unique market position for their products. If a product is perceived to be exactly like others on the market, consumers have no reason to buy it. The effective positioning begins with actually differentiating the company’s marketing offer so gives consumers more value. Marketing Mix, factors that help a company or firm sell its products. Four elements are normally distinguished: getting the right product to the market; selling the product at the right price; ensuring that the promotion is right—that is, advertising and marketing for the product; and ensuring that the product is distributed to the most convenient place for customers to buy it. On the basis of the marketing strategies the marketer decides the appropriate combination of the marketing mix. Marketing response it wants in the target market. The marketing mix consists of everything the firm can do to influence the demand for its products. The four main tools of the marketing mix from the seller point of view are 4Ps- product, price, place and promotion. From the buyer point of view it includes – customers cost, convenience and communication. Now-a-days marketers consider packaging as new tool of marketing mix and consider it as four Ps. Means the goods and services that the company offers to the target market to satisfy their states or in implied needs. Price means the amount of money that the customer has to pay to obtain the product. Place includes those activities that make the product available to target customers. Place doesn’t main only the market place. It also includes the activities such as : Channel, coverage, assortment, location, transportation and so on. Promotions include the activities that the marketer used to communicate and inform their customer about the products. There are some tools of promotion. These tools are also known as communication mix or promotion mix. They are: Advertising, personal selling, public relation and sales promotion. So to be succeeding the marketer must make proper blend of the marketing mix. The company wants to achieve its marketing objectives is its target market. And for this marketer need to manage all the efforts with proper analysis planning, implementation and control. To manage the marketing functions the marketer needs to analyze the company situation. For this the marketer needs to conduct the SWOT analysis. In this case the SWOT means (S- strength, W- Weakness, O- opportunities, T- threats.). Here the strength, weakness are the internal analysis and opportunities, threat are external analysis of the company. Marketing planning involves deciding on marketing strategies that will help the company attains its overall strategies objectives. A detail marketing plan also need for all company, as product or brand. Marketing plan includes the following eight elements. Marketing implementation is the process that turns marketing plans into marketing action in order to accomplish strategies marketing objectives. Marketing planning addresses what and why of marketing activities, implementation addresses who, where, when and how. Many manager thinks that “doing things right” (implementation) is as important as or even more important than “doing the right things” (strategy). The fact is that both are critical to success. In this type of organization, a functional specialist heads different marketing activities, such as sales manager, advertising manager, customer service, manager. In this type of organization, sales and marketing people assigned to specific countries, region and district .The company who sales across the country or internationally uses this type of design. In this type of organization, there are some managers responsible for different product or brands. A product, manager develops and implements a complete strategy and marketing programs for a specific product or brands. Step: 04 take corrective action. 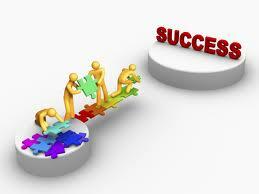 Management takes the corrective action to close the gap between its goal and its performance. There are some available for the marketer to control their activities. One of the major tools is marketing audit. Companies can conduct e-marketing in 4 ways. They are-. Setting up a web community. Using e-mail or web casting.